Bread rationing had been enforced by the Labour Government from 21st July 1946. Each adult was granted 9oz of bread or flour, but some manual workers including mineworkers were allowed 15oz. The meat ration though was increased by 2d (just over ¾p) a week! The first payment for statutory holidays was paid from August 1946. 12s (60p) for those under 18 years. The second payment was August 1947. From 1st January 1947 all the large mines in the country were Nationalised and the 120 mines in Derbyshire, Nottinghamshire and Leicestershire came under the East Midlands Division Headquarters Board of the National Coal Board, based at Sherwood Lodge, near Arnold. This Board was responsible to London HQ and also had a Chairman Lord Hyndley 1947-1952. Sir Hubert S Houldsworth would replace him from 1952-1956. The next stage down was Area Headquarters scattered throughout the coalfield. Sub-Areas, where officials in all disciplines oversaw the running of a group of the individual pits run by Managers, supplemented these and were similarly scattered throughout the Areas. In the East Midlands the Board also took over the running of 5 major coking plants, 6 waterworks, 2 pipeworks,18,350 houses, 12 brickworks, 112 farms and 14,300 acres of land. Throughout the country there was a total of 48 Areas, 980 collieries with a total annual output of 177.7 m tons, 800 different Companies, some with iron and steel interests, 1,049 collieries employing 700,000 men and boys and 21,000 pit ponies. There were 30 fuel manufacturing plants, 55 coke ovens and by-product plants, 85 brick and pipe works, 225,000 acres of farmland, 140,000 miners’ houses. Other assets were shops, offices, hotels, swimming baths, coal wharves, coal sales depots, milk rounds, a holiday camp and a cycle track. Many of the non-mining assets were sold off. However by the end of 1950 the NCB still did not know the extent of its assets. It inherited an incoherent wage structure which varied from region to region and pit to pit. Some smaller mines with a maximum of 30 men underground were still managed by private individuals or companies under licence from the NCB. These would continue as before but would soon find competition too great and many soon closed. By 1948 in the East Midlands Division there would be 89 NCB pits and 13 small mines. 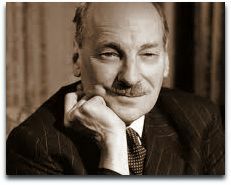 Clement Attlee continued (since 1945) as Prime Minister (Labour) to 10 Oct 1951. From 1st January 1947 the familiar blue and white flag was flown from flagpoles on offices and headgears of most of the 1,000 pits throughout the country. 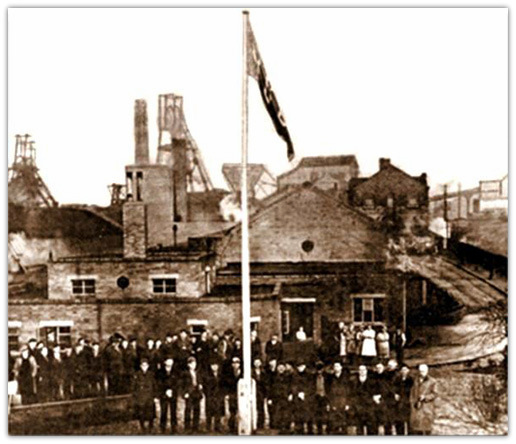 Many collieries had a small inaugural ceremony to hoist the flag with the famous statement “This colliery is now owned by the people, worked by the people on behalf of the people” or as above. Emmanuel (Manny) Shinwell, Minister of Fuel attended one such ceremony on behalf of the Government. This heralded the change of ownership. The Labour Party tried to convince the miners’ leaders that after struggling for generations under terrible conditions the new deal would put an end to it. The hated capitalist colliery owners (800+) with their Directors had been bought out by the Government, but many of the miners were suspicious of their ‘new bosses’ because practically all of the mines were managed by the same people as before! The promised 5-day week was not possible because of the need to produce coal as a crisis loomed, particularly due to vanishing exports. Absenteeism continued to be a big factor. The amount paid to the coal owners in compensation was £388,000,000 and the Government was saddled with that debt for many years. However money seemed to be no object to the new NCB as hundreds of new reorganisation plans were ‘dreamed up . These were to make pits efficient and more productive and 101 antiquated or inefficient mines were closed between 1947 and 1951 by the Labour Government with Clement Attlee as Prime Minister (1945-1951). The Coalfields were grouped into 48 Areas. Difficulties found, were the lack of suitable accommodation and suitable qualified personnel. 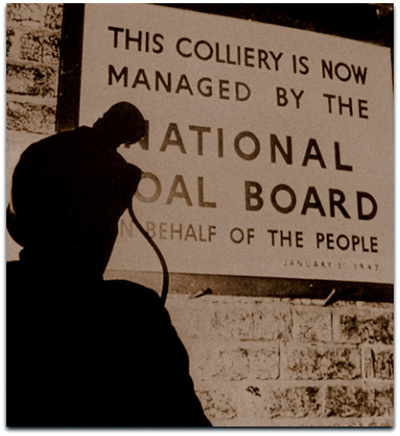 Many pits in the region were understaffed and there was a need to increase coal production. The Government agreed that mineworkers were not to be called up for military service. The Mines Rescue Service administration was brought into line with the operating Divisions of the NCB and each Station to have its own Superintendent. The Miners’ Welfare Commission, providing welfare facilities prior to nationalisation was authorised to act as Agents for the Board. The Board took over the Staff College at Nuneaton, established in 1946 by the Minister of Fuel and Power. A Chief Medical Officer was appointed when it was decided that a comprehensive health service was to be created. Odd colliery companies had similar things in the past, but that was mainly to get men back to work quicker, or to denounce any illness in the first place caused by the working of coal. There was a solarium at Silverhill for use by miners there and at neighbouring Teversal, Stanton Company pits, when it was thought that ‘false sunlight’ would benefit them, being underground so long and never seeing daylight. 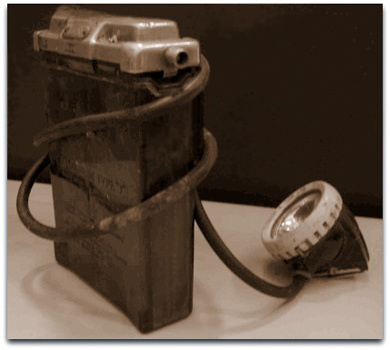 Around this time or just prior to or after nationalisation at some companies, cap lamps with a much better brighter light, powered by batteries carried one’s belt were issued at many pits to replace the hand held ones that were heavy and clumsy and with poor illumination. The Government of the day ‘listened’ to the Fleck report later in 1957. Unfortunately as usual with such studies, not all circumstances are taken into consideration, and far too many people were set on for certain managerial positions (30,000+ in 1947 to 57,000 in 1957) or were in posts that were soon to be lost as pits began to be closed. Many Technical Colleges and Universities around the country ran new courses for mining students, to progress forward for Managers’, Undermanagers’ and Surveyors’ certificates as well as in Engineering positions for Mechanical and Electrical and Clerical positions. Many of the people set on just before or soon after Nationalisation who passed their examinations were fortunate to be placed into statutory positions immediately, whereas the ones about 5 years or so behind them would find great difficulty in getting a ‘top’ job (as illustrated by the certificate numbers). An exhaustive examination of the industry was prepared, known as the Reid Report, which found that in effect the industry was bankrupt and had underground transport problems as well as the lack of training in the use of the latest mechanised systems that were being introduced. As in the past with the private companies, barriers were left between pits. However now they were also left between the separate Areas and duly agreed and dated and now the emphasis was put on safety sooner than royalty. There were 958 ‘big’ pits in the UK employing 704,000 men and boys with an output per man per year of 267 tons. A wage increase for the lowest paid was agreed both for surface and underground men. On 22nd January 1947 fresh meat rationing was reduced from 1s 2d to 1s (6p to 5p) worth a week. Miners were exempt in parts, due to being classed as heavy industrial workers. 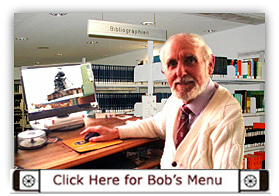 However corned beef and other tinned meats such as spam were raised from 2d (¾p) to 4d (1⅔p). There were also low wheat/barley stocks in the country so there was an immediate cut in beer production. Austerity times still reigned. Potatoes were still rationed at 3lb per person per week and also milk at 2½ pints each at 5d (2p) a pint, bacon 1oz a week. Meat and cheese and bread were rationed also. 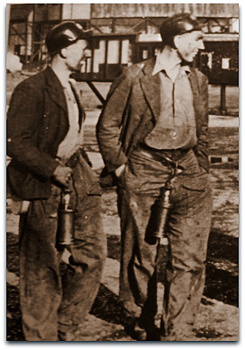 Miners were classified as heavy industry and were entitled to a larger meat ration. A packet of 20 Players cigarettes was 2s 4d (11⅔p) and a pint of bitter beer 1s 4d (6⅔p). 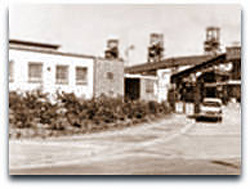 A large surface and underground Training Centre was created at Bentinck (No4 Area) (Nottinghamshire). Harold J Eley (2nd) an ex-Undermanager was Manager in charge and was also responsible for Silverhill (Nottinghamshire) Underground Training Centre (No4 Area – ex No2) as well. Preliminary training for young boys 15 to 18 was to be 16 weeks (or at least 264 hours) of instruction, whereas those over 18 entering the mining industry to have 3 weeks training, and the Minister agreed to relax some of the Training Regulations to enable the upgrading of miners to the coal face to be speeded up. Similar Training schools were at Mansfield (No 3 Area) Hucknall (No6 Area) (Nottinghamshire), Grassmoor (No1 Area) and Markham (Derbyshire). Lads in No5 Area trained at Woodside (Derbyshire) near Ilkeston. There was a Training centre at Donisthorpe in the South Midlands. 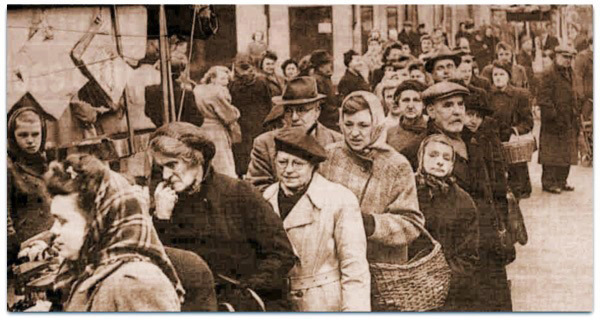 On 3rd July 1954 all remaining foods were now off ration - butter, fats, bacon and meat. It seems incredible now that we had to wait for 9 years after the Second World War had finished before we could buy what we wanted. Even then it was a case of finding the shop that had been supplied with the goods in quantity.